Check out these clever and quick Halloween hacks that will help you celebrate Halloween with your little ones without any hassle. This is a really quick desert to make. Just put a small scoop of Co-op barrel aged aged vanilla clotted cream ice scream between two Co-op scary looking gingerbread pumpkin heads and voilà, the yummy Halloween desert is done. Make the jelly according to instructions on the box (don’t refrigerate). Once it cools stir in a little double cream. 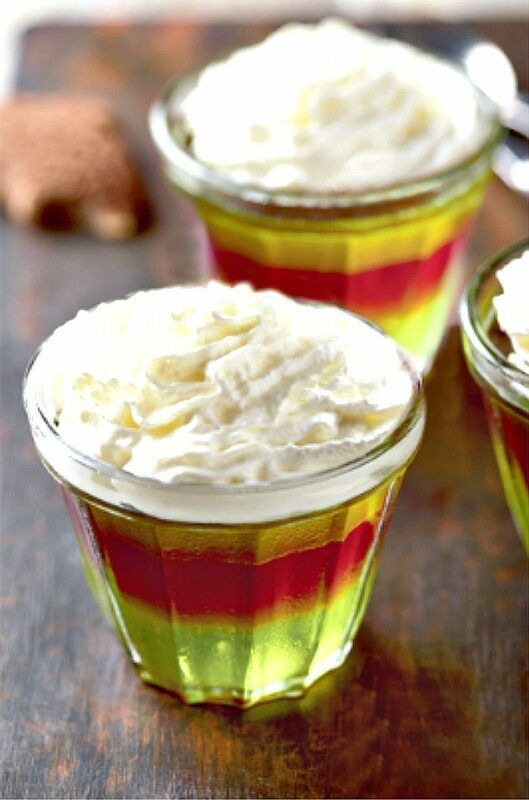 Put straws in a glass tightly, fill the straws with jelly and set. To loosen, hold over a dish of warm water and serve on crushed bourbon biscuit “dirt”. Make the jelly according to instructions on the box without refrigerating it. Fill some glasses a third of the way up with 1 colour. When set, top it with a layer of different colour. Leave to set and add a layer with other colour. For the last step, decorate with whipped cream or topping you like best. 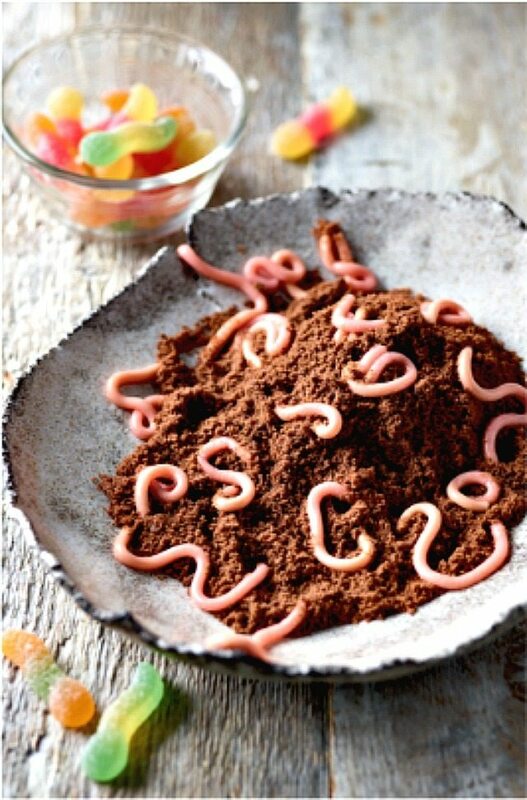 This Halloween hacks is super easy to make. 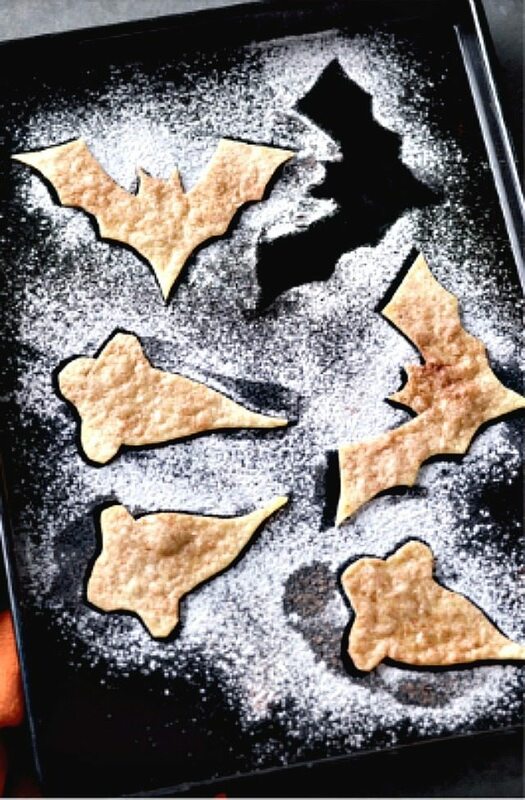 Just grab a sharp knife or cookie cuter and cut 2 tortillas into scary shapes (try pumpkins, ghosts or bats). Brush with melted butter and add icing sugar and cinnamon or whatever you prefer. Bake for 2 minutes until crisp. Soft boil 6 free range eggs with scary faces drawn on them with permanent marker. 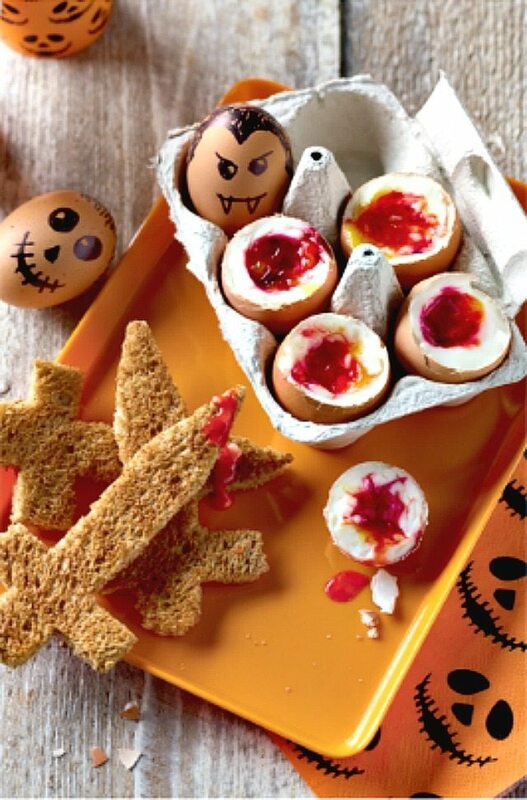 Serve with toasted brown bread shaped like dagger and red food dye stirred into each yolk. These Halloween hacks were provided by Co-operative food. 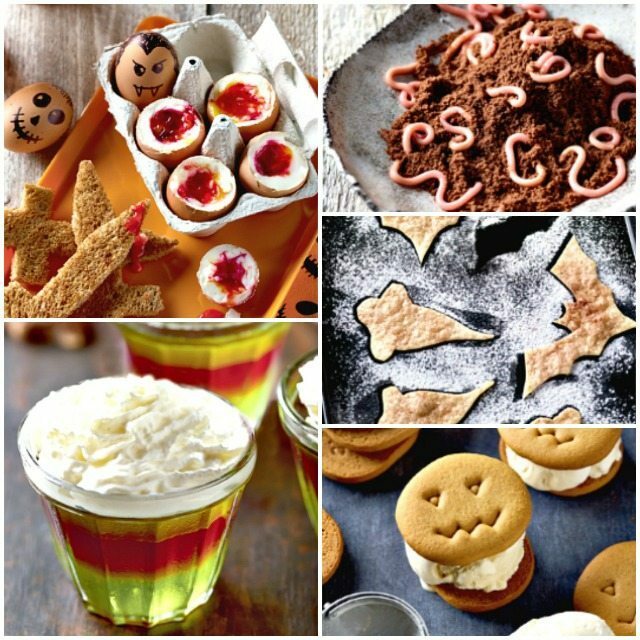 If you have enjoyed these Halloween hacks, don’t forget to check out the delicious recipes we have on KiddyCharts, and why not also sign up for our newsletter!